Cliffe confirmed their promotion from Division 3 after a 67-41 victory over Knaresborough. Delighted Captain, Jane Pemberton thanked all of her team and described it as an amazing achievement for their small village club to have gained promotion to division 2, the first time for over 20 years. This season’s Beryl Bean over 55 tournament will be held at Poppleton on Sunday 4th October at 10am. If you could please spread the word around your clubs and ask anyone interested in entering to contact rcantrell@ntlworld.com or hilarymsuk@yahoo.co.uk by e mail or phone on 01904 795222 (Rosie) or 01904 783505 (Hilary) , as Rosie Cantrell and Hilary Spencer will be running it. There will be an entry fee of £4 per couple to cover the cost of balls and refreshments; this can be paid on the day. COPMANTHORPE 1 – Division 4 Champions-From left to right Rhian Scott, Liz swallow, Jane Harding, Laura Atkinson, Jenny Davies and Laura Simpson (captain). 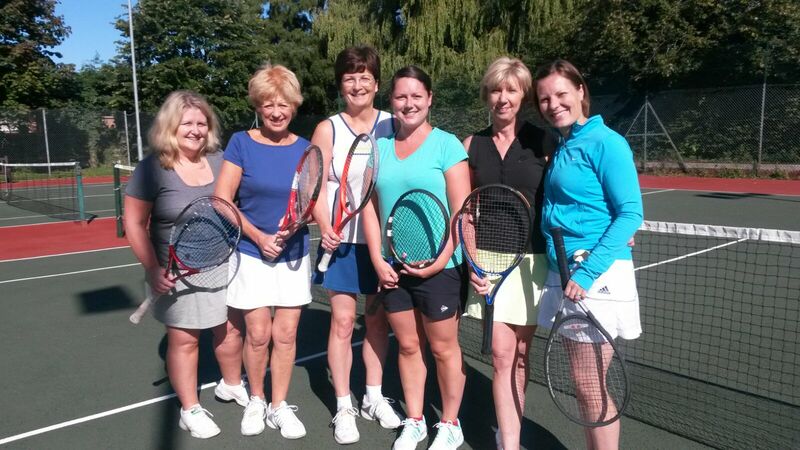 Copmanthorpe secured the division 4 title in the Fulford Ladies Invitation Tennis League after beating Cawood 70-38. Wigginton are division 3 champions after Cliffe went down against Fulford 2, Pam Campbell and Jane Wallace claiming 28 games for Fulford. Miranda Stephenson and Philippa Ashley claimed 30 games to ensure David Lloyd’s promotion from division 6 in their 79-29 win over Sheriff Hutton. 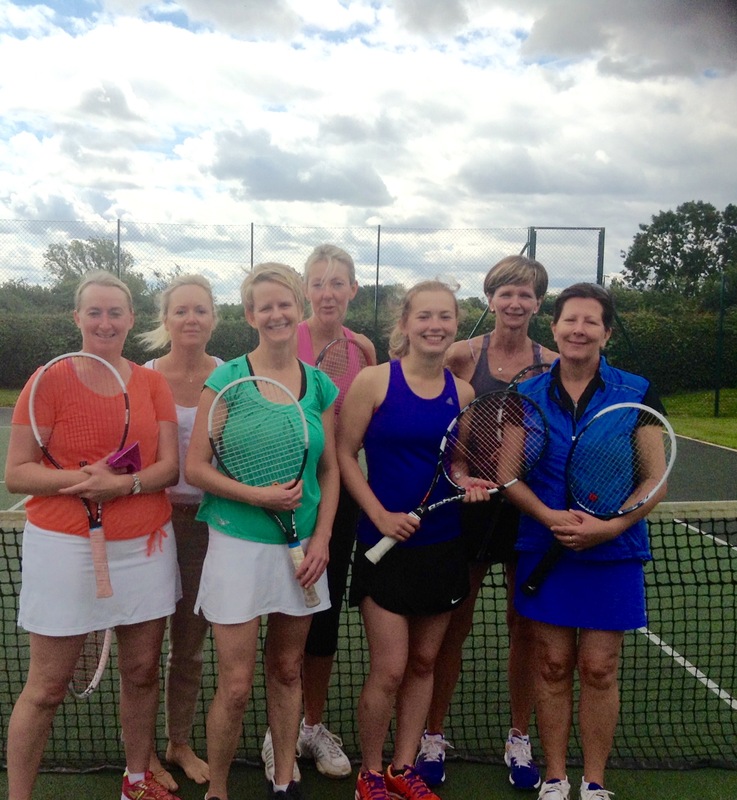 The final weekend of scheduled matches in the Fulford Ladies Invitation tennis League saw York 1 celebrate winning the division 1 title after back to back wins against Starbeck. Captain Kathryn Maude and Karen Retief claimed 22 and 26 games in the two victories which secured York’s third title in a row and means they complete the season as the only unbeaten team in the league. Elsewhere, an incredible 34 game haul from Emma Owen and youngster Rebecca Hill led Pocklington to victory at Poppleton and so ensured their first division safety. Dunnington overcame York 2 so will finish as runners up. Only a miracle, or failure of the opposition to attend, can now save Fulford from the drop as their match against already relegated Castlegarth once again fell victim to the weather. Division 2 Champions, David Lloyd – Left to right. Elaine Hilton. Lucy Crawford, Cath Jackson, Jo Powell, Charlotte Worsman, Louise Dwyer ( captain ), Helen Larkin. David Lloyd won the battle of the two promoted teams in division 2 by beating Bishopthorpe 60-48 and so take the title. Louise Durkin and Louise Wilkinson bagged an invaluable 22 games to help Pocklington to a 57-51 victory over Castlegarth, this confirms the Wetherby club’s relegation along with Appleton who fell to a 73-35 loss at Rufforth. Wigginton and Cliffe will be promoted from division 3. Wig look favorites for the title after destroying Poppleton 81-27, whilst a 31 game haul from captain Jane Pemberton and Charlotte Sykes saw Cliffe home against Knaresborough. Popp’s loss means they will be relegated along with Riccall who just lost out 52-56 to Rowntree Park. Tollerton confirmed their promotion from division 4 with a 64-44 win at Sutton, however, Copmanthorpe’s win at struggling Cawood leaves them looking likely champions. Knareborough continue to fight for survival after beating Boston Spa 62-46. The top two met in division 5 where a 33 game haul from Louise Smith and Jill Rounce helped Bubwith to a resounding victory over second placed Dunnington. Amanda Robson and Jackie Heseltine claimed 26 games in Copmanthorpe’s win over Fulford and so confirmed their relegation along with Stamford Bridge. David Lloyd are within touching distance of promotion from division 6 after overcoming a depleted Copmanthorpe side. Regular top scorers Gerry Screeton and Michelle Helm scored 32 games to enable Wilberfoss to sign off their title winning season with a victory at Sheriff Hutton. 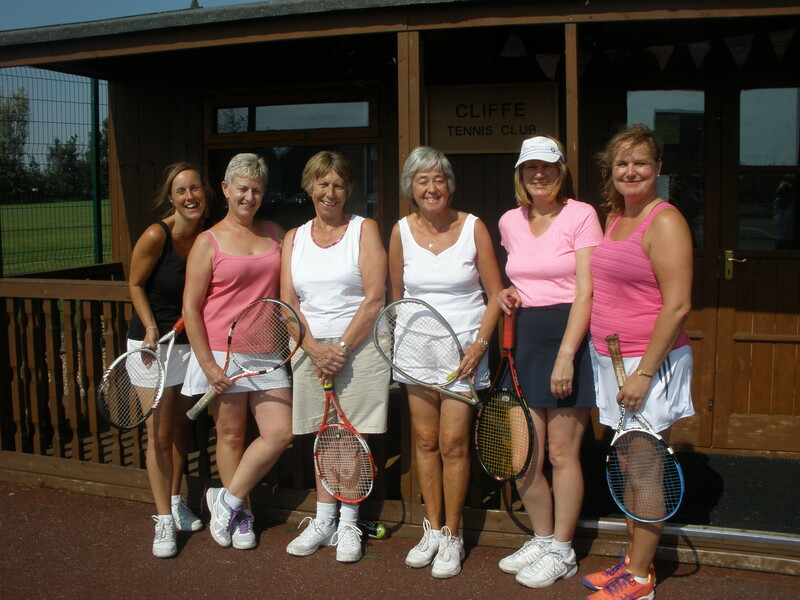 Tollerton – looking for promotion from division 4. 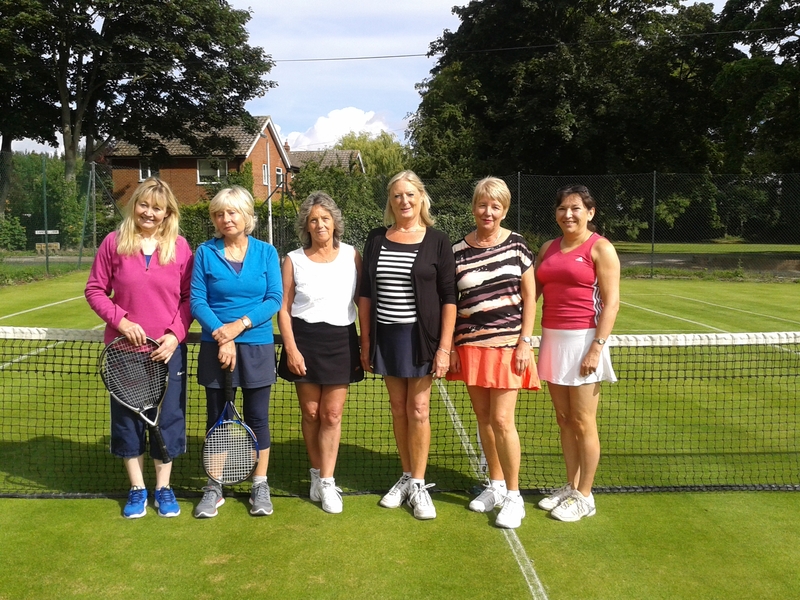 Copmanthorpe confirmed their promotion from division 4 of the Fulford Ladies Invitation Tennis League with a 60-48 win at Knaresborough, their two Laura’s, Simpson and Atkinson hitting form claiming 28 games. Tollerton look likely to join them in division 3 after destroying New Earswick 81-27, Ed Hope and Sandra Jennings leading the way taking 30 games. David Lloyd continue to stay in the chase after beating a depleted Sutton team, which leaves the latter dropping towards the relegation zone. An impressive 34 game haul from captain Suzanne Straw and Fiona White eased David Lloyd 3 to an 81-27 win over struggling Bubwith in Division 6. This leaves DL in second place, behind Wilberfoss, who were confirmed as champions after overcoming Appleton 67-41. Poppleton remain third after a 66-42 victory against Sheriff. David Lloyd and Bishopthorpe both enjoyed 70-38 victories over Dunnington and Castlegarth respectively; this means that they will both be promoted from division 2. A 28 game haul from Sarah Skidmore and Denise Riley helped Rufforth to a 74-34 win against Pocklington, who are now in a three-way relegation battle after bottom club Appleton fought out a draw with mid table Boston Spa. Division 1 champions elect, York 1, continued their unbeaten run with a 60-48 win over bottom placed Castlegarth, this confirms the Wetherby club’s relegation. Fulford seem favorites to join them, though a 30 game haul from Jo Middleton and Wendy Wong helped them to victory over Pocklington, leaving them with an outside chance of avoiding the drop. Starbeck have adjusted well to life in the top flight, their 60-48 win over York 2 confirming their comfortable mid table status. Dunnington remain in second place after beating a depleted Poppleton team. Anna Airaksinen and Diana Longthorp bagged 29 games for Bubwith in their division 5 win over Heworth. They remain top, equal on points with Dunnington who had a closer encounter with Copmanthorpe. Stamford Bridge’s defeat at Wigginton means they will play in division 6 next season. Fulford appear odds on to join them there after losing out to Bishopthorpe. Wigginton march on at the top of division 3, they demolished Fulford 79-29, Lorraine Waudby and Sarah Blacker taking 31 games. Cliffe took the points after Wistow conceded to them, so remain in second place. Other matches in this division fell victim to the British summer weather!